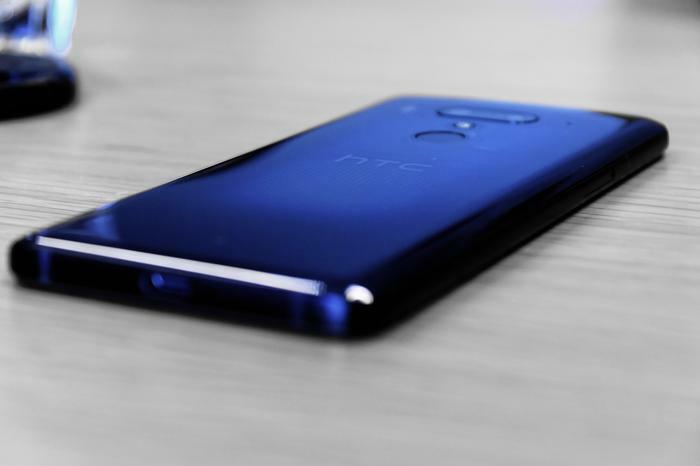 HTC have officially unveiled their 2018 flagship smartphone, the HTC U12+. As expected (and leaked ahead of the official announcement), the HTC U12+ runs on a Snapdragon 845 processor, 6GB of RAM and a slim (but-not-quite-stock) version of Android 8.1 Oreo. 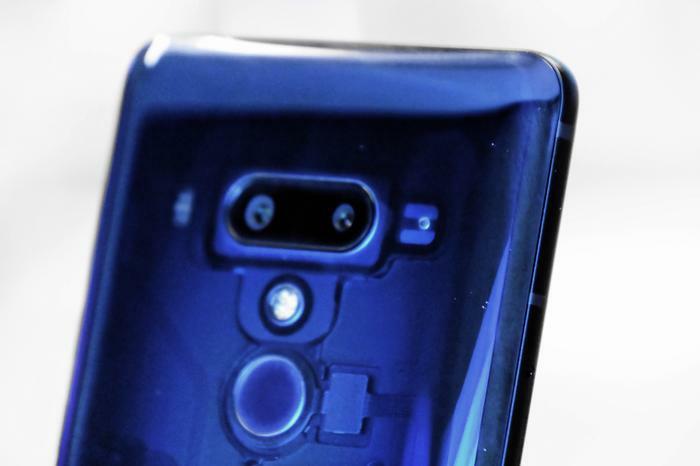 In terms of design, the device rocks the same liquid glass look found in both HTC's phones from last year plus a lot of the more-recent smartphones from this year. Still, overall, it's very similar to last year's HTC U11 - albeit with a few smart adjustments that see it lean into current industry trends. Like the U11, the U12+ comes with a 6-inch QHD+ display (with HDR10 support) but unlike the former it's also rocking thinner bezels and the taller 18:9 aspect ratio. Other upgrades over its predecessor include IP68 water-proofing and support for face unlock. HTC are also looking to double down on the Edge Sense functionality found in the U11 and U11 Life. Introduced last year, this feature let you squeeze the sides of the U12+ to open apps, take screenshots and open 'Edge Launcher' (sort of similar to Samsung's Edge Panel). As with previous phone with the feature, Edge Sense is completely customizable and, this time around, comes with support for a handful of new gestures to boot. 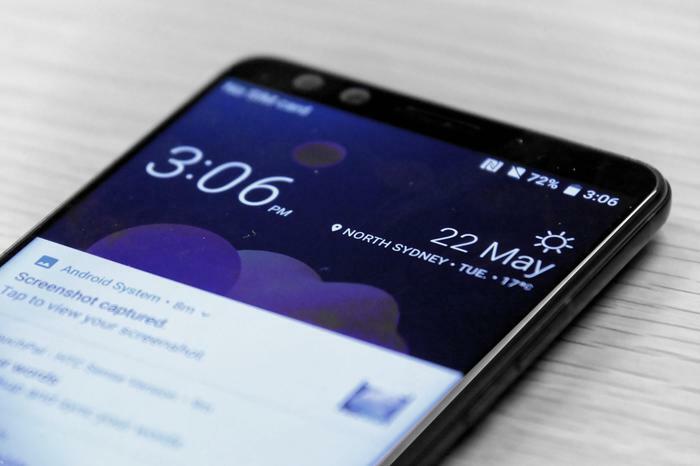 You can now double tap the sides of the device to go backwards when web browsing or shrink the screen to one-handed mode and the smartphone will now also automatically lock the screen orientation when it detects your hands on the edge-based sensors. Since this is a HTC flagship, there's definitely an emphasis being placed on under-the-hood improvements here over radical changes to the overall or form-factor. Upfront, this applies to the processing side of things via the new Snapdragon processor. It also applies to the camera side of things. 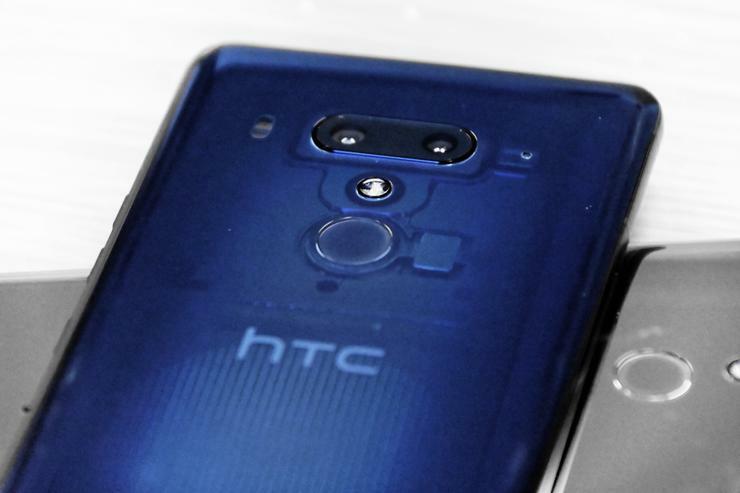 The HTC U12+ features four cameras in total: two on the front, two on the back. The rear camera configuration consists of an12-megapixel wide-angle camera (f/1.75 aperture) and a 16-megapixel telephoto lens. It supports up to 2x lossless zoom, Bokeh mode, HDR Boost 2, both optical and electronics image stablisation. When it comes to video, the rear camera can shoot in up to 4K. It also supports slow-motion video in up to 240FPS at 1080p. HTC are also talking up the improved Sonic Zoom feature in the camera, which allows you to focus on specific, localized sounds within a larger scene depending on what the camera zooms in on, and the new Audio Boost feature, which amplifies voices in a scene regardless of where the lens is focused. There's also a new auto-zoom which HTC says will allow you to create smooth and seamless zoom-pans using your smartphone. Then, you've got the front-facing cameras. 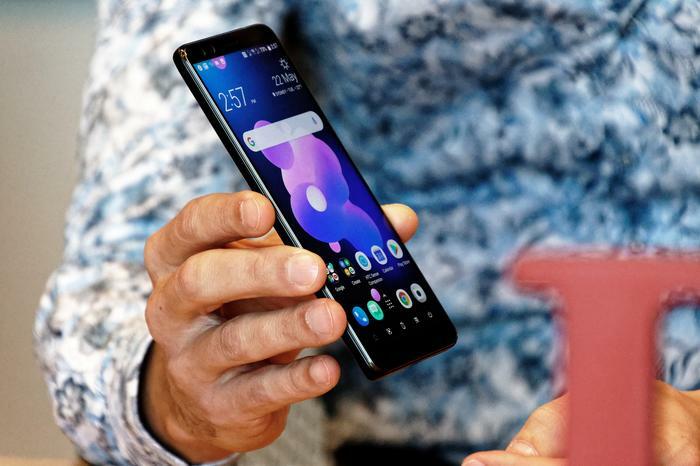 The HTC U12+ pairs up two 8-megapixel cameras and supports both bokeh and wide-angle shots as well as video recording in up to 1080p. The company say they're pitching the device as the best 'dual lens' photography smartphone on the market, and the device has already earned approval from DxOMark - who have awarded the device a 103 score for still photography. Speaking of sound, the HTC U12+ also features some nice, albeit somewhat-predictable, improvements to the BoomSound speakers on the device. HTC say they're louder and clearer than the speakers on the U11 were. As with the U11 and U11 Life, the company's USB-C USonic ANC earbuds are also set to be included in the box. Other details include a 3500mAh battery, 128GB of storage (with support for MicroSD) and support for hi-res audio. Meanwhile, the biggest omissions here consist of wireless charging and the price. Unfortunately, there's no word yet on what the local cost or availability of the device will look like. Overseas, HTC will be ranging a trio of color variants: ceramic black, flame red and translucent blue. Based on our brief hands-on with the device ahead of the reveal, it's the third option here that'll likely be the one to turn the most heads. As the name suggests, it's slightly translucent - which means you can see a few of the U12+'s internal components from the outside.